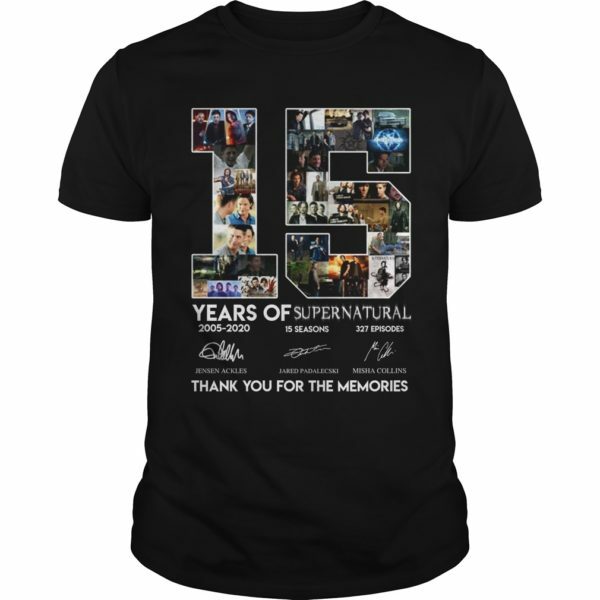 15 Years of Supernatural thank you for the memories shirt, hoodie, long sleeve, ladies tee… Great gift for who loves Supernatural. You can buy this shirt at here. So love for one shirt.